After a year as stylish as 2015, you may be left wondering what’s next? We have done our research to bring you our top 10 home trends for 2016. In 2016, we will see kitchens move away from the perfect polished look to a more elective vibe. Rather then incorporating one or two materials, consider adding a variety of opposing styles to create a truly unique space. You can achieve this through a combination of rustic wood cabinets, subway tile splashback, vintage inspired drawn handles and a shiny white countertop. 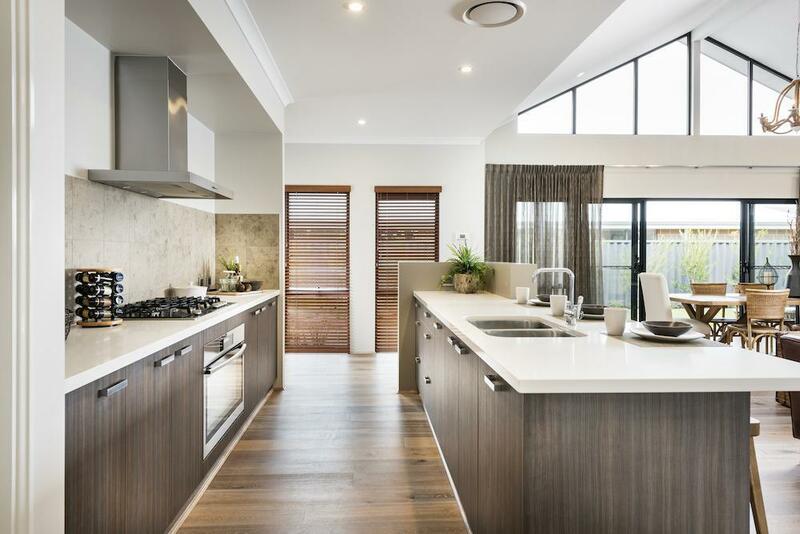 Open plan living, kitchen and dining areas are set to stay in 2016. 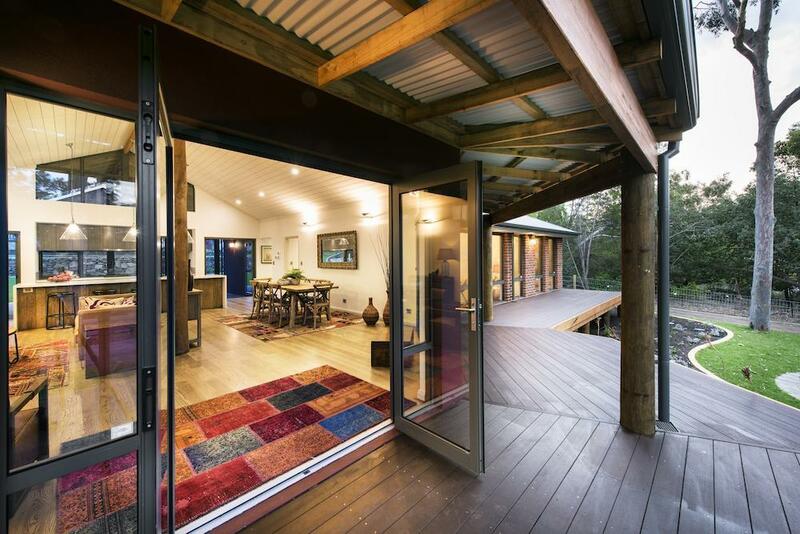 The integration between outside and inside living areas with the use of floor to ceilings high windows and stackable doors to bring the outside in. This is becoming increasingly popular as block sizes shrink clients aim to make the most of the available space. Your home may look spotless but really its about hiding the mess. Relocating working sinks and dishwashers out of the kitchen which people want to keep clean and into the scullery will be in high demand this year. Mud rooms will also become a must have for families with children. We enjoy being surrounded by nature and feeling its presence around us so if we can’t live in the middle of nature we will find ways to bring it inside our houses. The most common way of embracing nature in our homes décor is with potted plants and fresh flowers. You may also consider buying furniture that you can use indoors and outdoors and decorating with small trees, terrariums and home-grown herbs. The human conscience isn’t letting up with people caring more and more about where items in their home are manufactured. Recycling, repurposing and reinventing are all things consumers are beginning to consider when they make purchases today. These charming home accents are once again becoming the focal point of the home. Rather then placing a large TV above the fireplace, considering arranging furniture to create a feature and put the fireplace centre stage. The metallic trend remains a strong theme in 2016. Metallics have the ability to instantly bring a touch of sophistication to your interior design finish. 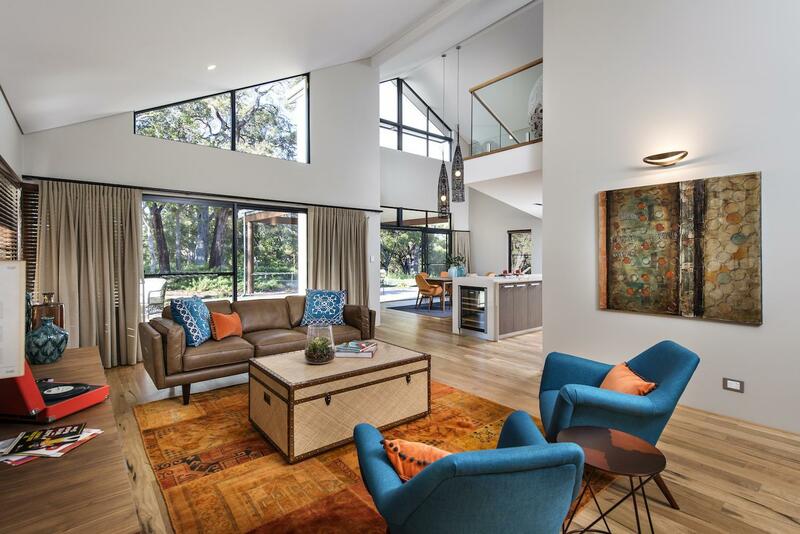 Whether it’s done through the use of chrome or silver or through the use of warmer metallics such as copper or gold, they all work well in creating a warm and inviting space. Kitchen islands provide additional work space but can also taken on much more than that. With storage, sinks and room for seating, workhorse islands are becoming a central feature in modern kitchens. 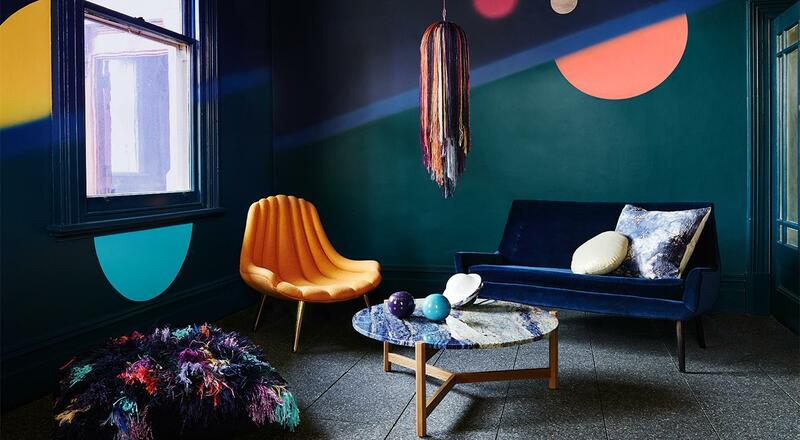 According to Dulux’s 2016 Colour Forecast, it is the year of moody shades and throwbacks to past times. The first palette Infinite Worlds features a range of dark blues and purples contrasted with flashes of red pink, coral and metallic. The second palette Bio Fragility takes its cues from natures with soft greens and beige’s creating a beautiful tranquil interior. The last two palettes, Future Past and Retro Remix calls on the 60’s and 70’s. Browns and caramels make a comeback along with vibrant retro colours such as mustard and pink. This provides an excellent opportunity to be creative and express your personality. Are you ready to see beyond silver? 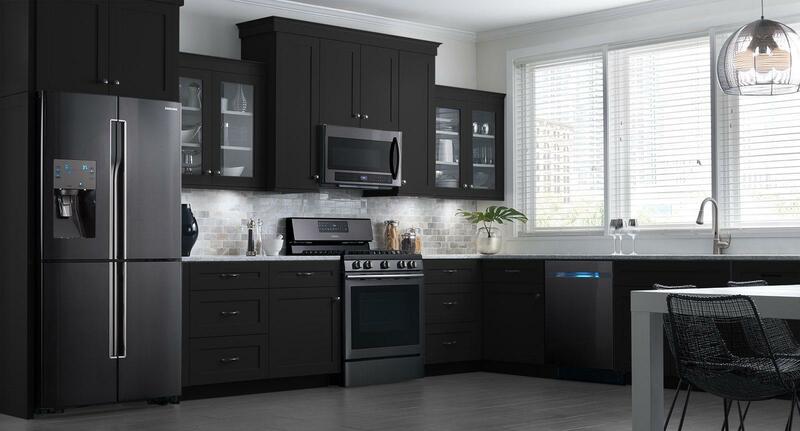 This year we will see black stainless steel appliances make a mark. 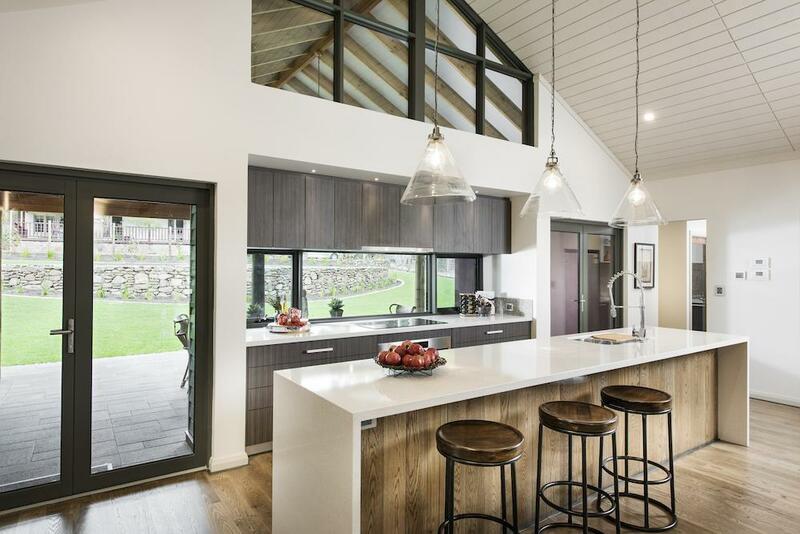 Interior design website Houzz recently conducted a poll of its community members on the black stainless steels trend with 60% of over 6,600 respondents saying they’d consider incorporating appliances in the colour the next time they update their kitchens. Some saying they were sick of the all white kitchens and were excited to see something new.